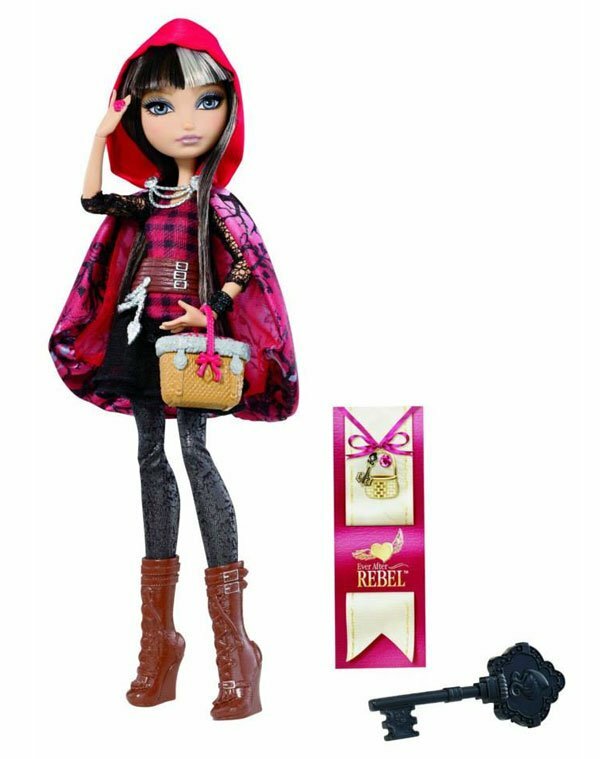 This doll is Cerise Hood and is from the first wave of Ever After High character dolls. She is the daughter of Little Red Riding Hood and the Big Bad Wolf. She has a secret that wants to keep, so she is a little individual and reserved with her classmates. In fact she has wolf-like tendencies and outbreaks, and this is a huge inconvenience as she is trying to hide her heritage. Cerise has a beautiful rounded face with peach skin and brown hair with several white steaks. An small nose and a gorgeous grey eyes. Her style is merged with some kind of punk style elements but combined with so many elegance. She uses darker colours along with red, and of course she has her mother’s famous red hood. Do you know what she hides under it? She has wolf ears! Look at this amazing belt on her waist and the beautiful cape with fright tree silhouettes! 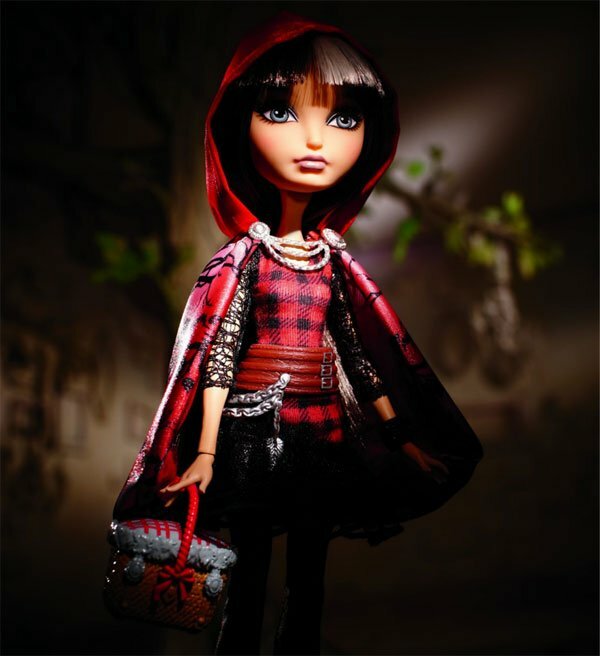 They make Cerise Hood a unique girl. 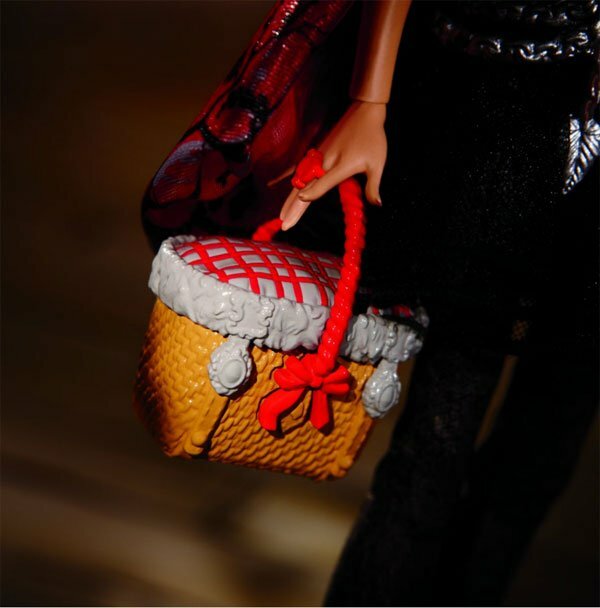 Doll comes with a doll stand, doll hairbrush and bookmark with her character story and she is supposed to be relased on January 2014.
my sister can’t wait till this doll is out. 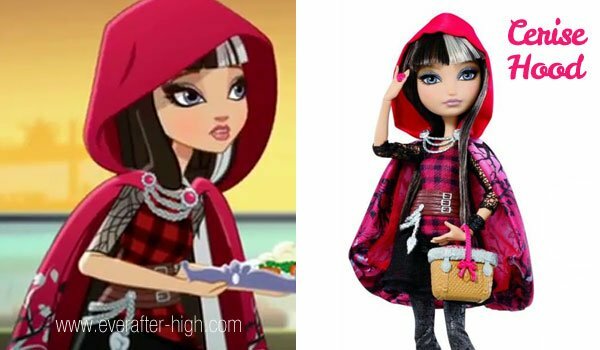 Cerise Hood is one of her favorite character in Ever After High. 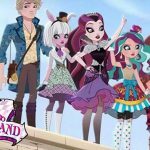 she love Ever After High. she and many other girl are going to go crazy try to git the hands on this doll. Where can you buy her? She is sooo pretty! Does she really have wolf ears,like on the show? Yeah,no wolf ears! Now I know I want her! She’s beautiful! Ya where do you buy the doll she my favorite. She doesn’t have wolf ears. Now I want her. She is so beautiful and I want her. I Am going to get her soon. How did little red riding hood end up marrying the big bad wolf? i wanted her too now where can i get her. I love her soooooo much act like her. I wonder if you can buy her at Justice? OMG I SOOOOOOOO WANT HER SHE IS SO AMAZING I ALWAYS ACT LIKE HER!!!! 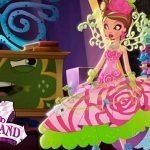 I declare her my favorite character!